This offering is similar to the regional Cross-Industry ERG Development Sessions, but with content tailored to your organization and conducted on-site at your facility for your ERGs. 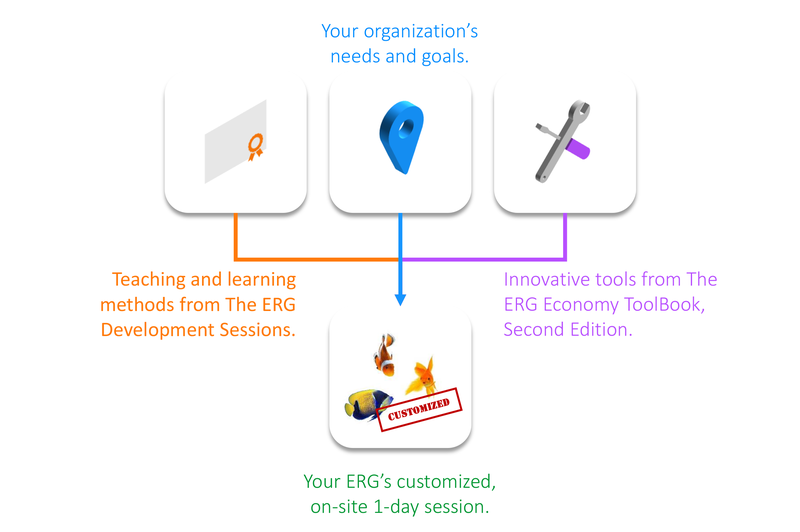 The session can be from a 1/2 day to 1 full day, and the curriculum can be customized from the innovative ERG Economy tools. The customized, on-site ERG Development Session combines the following co-created elements into a session that meets your organization’s needs.